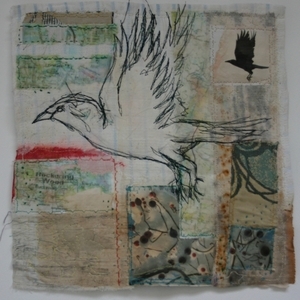 Mixed media artist Cas Holmes works with textiles and found materials. Her particular interest is the link between the built and natural environment (Urban/Nature) and issues relating to sustainable practice. Her work is exhibited and collected internationally. Public collections include the Museum of Art and Design, New York, Schroders Finance and Arts Council England.